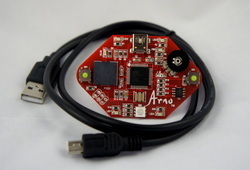 Same great Arno board but now you can learn Arduino with our new interactive website. Check Out the Online Book Here! Learning the basics of electronics and programming is challenging. Learning them while juggling piles of tiny parts, jumper wires, and breadboards is even more difficult. With the Arno, we've gotten rid of the piles of parts. Everything you need to learn Arduino and complete interesting projects in already built in. The board comes fully assembled, ready to plug in with the included USB cable. You can focus on learning how the circuits work and learning the Arduino language. You can tackle the piles of parts once you're ready. 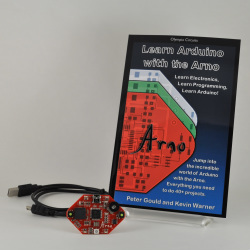 The Arno board comes with "Learn Arduino with the Arno"
The book that accompanies the Arno board as part of the Arno Kit is much more than an instruction manual for connecting a board. We've grown to expect hardware without a good reference on how to use it. You can spend hours searching the internet for simple answers. This isn't a way to start your journey into Arduino. We know you'll have a great time with Arduino if you get over the learning "hump". This book gives intros into electronics and programming, then it explains how to program and understand over 40 sketches. You'll start with things like blinking and fading an LED. Then advance through more interesting ways to program outputs. There are sketches that take advantage of the USB capabilities of the Arno. And lots of sound, you'll have blast with the piezo as an output (and input). Have a 3D printer or have access to one? Here's a fun and useful addition to your Arno. 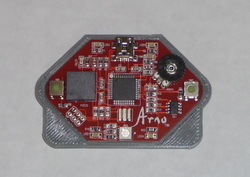 The Arno is available in a shield format. See it here. The shield lets you do all the projects in the book, if it is paired with a LeOlympia or Leonardo board. It will work with an Uno, but the keyboard and mouse emulation won't work, since the Uno doesn't have that capability.